Safer passengers and healthier drivers might be among the outcomes of a new trial by a German software company and a Japanese telecommunications operator. NTT, the Japanese co-inventor of a sensing fabric used in health-monitoring clothing, is pairing up with business software developer SAP to collect and process real-time data on drivers' heart rate and alertness. SAP already sells a real-time analytics tool, Vehicle Insights, for processing data from connected vehicles. In the trial with NTT it will add information from NTT's IoT analytics platform to the database, allowing the analytics system to look for -- and perhaps act on -- links between drivers' state of health and other vehicle telemetry. The companies will begin a field trial with Keifuku Bus Co. in Fukui, Japan, next month, and hope to begin offering a commercial service -- for data analytics, not public transport -- in the U.S. and Europe early next year. The source of the driver information will be a sensing fabric called hitoe, jointly developed by NTT Japanese chemical company Toray Industries. NTT first showed off the fabric in 2013, and then in 2014 said it planned to develop services using it through its mobile communications subsidiary DoCoMo. By coating a fabric such as silk with the conductive polymer, poly(3,4-ethylenedioxythiophene) poly(styrenesulfonate), or PEDOT-PSS for short, NTT discovered that it could detect electrical signals in a person's skin. Garments made with silk, though, had a tendency to lose contact with the skin from time to time, interrupting the flow of data. When made with a nanofiber fabric from Toray, though, the garments clung much better, improving the data collection. 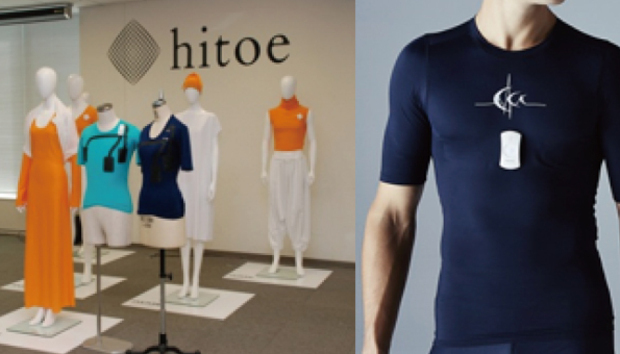 With appropriately placed conducting zones, such garments could provide a simpler-to-wear alternative to regular electrocardiograph monitors, NTT hopes. Bus companies might be able to order their drivers to wear smart uniforms to promote health and safety in the workplace. But it remains to be seen whether Elon Musk will be able to persuade drivers to add to his pool of telemetry data by wearing conductive versions of his clingy Tesla-brand T-shirts whenever they sit behind the wheel of a Model S.
How long should an iPhone or iPad battery last?